She's an author, poet and speaker---but most importantly a survivor. .
Glenda L. Hunter, a resident of Clinton, Mississippi, is one of those individuals who has been able to use her life to not only help other people but show what it means to celebrate the gift that life is. This, however, has not been an easy road for her. At a young age she had her innocence taken away from the very man who should have been there to protect her: her father. As a result of the abuse she suffered, Glenda developed alters or multiple personalities that would become a part of her life not just through childhood but adulthood as well. 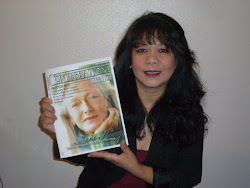 With courage and conviction she has shared her story in two books: AN UNSPEAKABLE SECRET and MOMMY TWINKLE EYES. Her goal? To let others know what is possible for them, regardless of their circumstances. We met each other initially in 2011 through a mutual friend, and it has been my pleasure to see the amazing results of Glenda sharing her story with the world. I was privileged enough to be her first radio interview and to host her first book-signing. When I was thinking about those who I had met that celebrated the gift of life and would be great examples for all of us I knew that she would have to be apart of this issue. In describing how the abuse began, Glenda says this in her book AN UNSPEAKABLE SECRET: "Fear was always gripping my body because I was never sure what was going to happen. When he became mad, he was like a monster out of control... Dad was quick to tell me how bad I was. No longer was I his special girl.. Somehow I had become an awful person who couldn't do anything right. I wasn't sure what had changed to make me this kind of a person." That can be painful to read, let alone believe of yourself. Glenda explained how she has been able to now break her silence and share her story. "I felt like other people probably struggled with the same thing that I had struggled with," she told me. "I had looked for books to help me get better and that's why I wrote mine so I could get my story out there and help others." A large part of the healing she has experienced today has come from seeking help. Glenda told me that she didn't begin to really understand that she wasn't alone in what she had experienced and felt until therapy. "It was then that I realized a number of people have suffered from that (meaning abuse)." Coupled with dealing with the abuse, however, was the Multiple Personality Disorder. Not finding anyone who was talking about it the way she had experienced gave Glenda courage to move forward with sharing her own experiences. "I found the courage because I wanted someone to write a book from their point of view to say this is what it's like to be multiple. I'm putting it out there for people to say here's the story, and I hope it will be beneficial to you." That is exactly what it is doing. 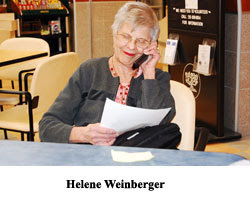 "It has helped people to open up to me," Glenda shares. "Some have never shared with anyone before. The fact is that (the abuse) affects them in their lives many years after." The communication about it is helping others to understand what the person has gone through and is going through. Faith is such an important factor to Glenda Hunter's survival as well. When you are abused and mistreated it is easy to feel as though you don't matter. She experienced those very feelings about herself. That is not the person she is today. "Getting through the therapy and working through the issues has helped," she says. "When you are degraded in numerous ways you carry that with you until you can work through that to say 'I am worth something'." She has also come to a revelation about herself and all of us. "God has made us all very special," she says. "He has made us all unique. We all have a place and a purpose. I want other to know that they have worth outside of what has happened to them." Glenda's third book WHO ME? WORTHWHILE? YES, YOU! shares how we can begin to look at ourselves and our circumstances differently. She admits it's not easy and might take time, but it is definitely possible and worth it. "You might ask 'How can God love me with all of this in my background?' The wonderful thing is that He does. He loves you as equally as He does anyone else." In WHO ME she goes on to say this: "I have always felt like I was not good enough for anything. Therefore, everything I tried I did in fear. I was afraid that if people really found out who I was they certainly would not like me. Everything I worked for would be over. Being fearful can cause you to always be looking over your shoulder wondering what was going to happen next. You become afraid that something bad was waiting down the line for you, therefore, you chose to stand still. When fear controls you, you do not move far or at all. Let God help you get over the fears that cause you to shudder whenever you think of facing the world. The world can be scary enough place without carrying added, unnecessary fear. What will you do with your fear? I have chosen. Let God handle those kinds of fears in my life. It is not always easy but worth the effort." In sharing a part of herself, Glenda Hunter is giving us all something to reflect on when we look at our lives. What does she want everyone who has suffered in silence with the abuse to know? "I want them to know they are worthwhile," she says. "Even though you have had to hold that secret in or been a victim you don't have to stay a victim. You can be a victor. I want them to look within themselves and say I do love who I am. I am important." Glenda's three adult books AN UNSPEAKABLE SECRET, MOMMY TWINKLE EYES and WHO ME? WORTHWHILE? YES, YOU! 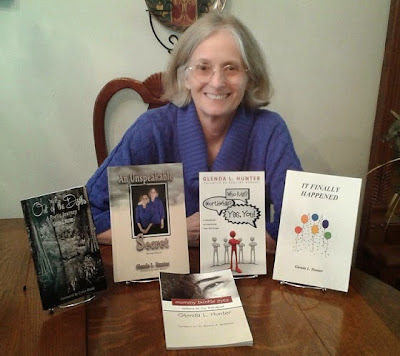 as well as her children's book IT FINALLY HAPPENED and book of poetry OUT OF THE DEPTHS are all available on Amazon.com and Barnes and Noble online. .
You can stay in contact with Glenda on Facebook here. Her website is www.authorglendalhunter.com. Tani had every reason to give up on her dream. She a mother of three, works full-time and had people tell her it would never work, but three years later she is still high-stepping in her vision and seeing the work put into INK BOTTOMS pay off. "I couldn't have imagined it in a million years," she told me as we discussed the journey that began for her in 2012. Thanks to social media and word of mouth she is building a brand that is not just proving that hard work pays off but that allows women to look good in a stylish yet affordable way. "I've been a shoe lover since I was a little girl," Tani explained. "I wanted an affordable shoe that would allow me to not just step out in style but wouldn't cost a fortune. When I couldn't find what I wanted, I decided to created it myself." That was the birth of INK BOTTOMS: a shoe that looked good but was affordable for all. For Tani it's not just a pair of shoes. "Fashion to me is art," she says. "I'm in it because this is what I love to do." She says he best expresses her feelings and emotions through fashion. Though things are going well now that doesn't mean there won't moments where fear tried to creep in and stop her. "At one point I said I can't do this," she confessed. "I said to myself 'Who am I?'" Regardless of the doubt and even the naysayers Tani says she found the strength and the courage to push forward. "I decided not to let anyone stop me." And shoes for women is just the beginning. Already Tani is working on more of the brand including a line for men. "You can't let anyone stop you from pursuing your dream," she says. "If you surround yourself with negativity everything will crumble, including your business. You have to be strong, stand tall and believe in yourself." Stay connected with everything Ink Bottoms at www.inkbottoms.com. [Opinion] What Do I Owe You? When two people are in a relationship, they owe it to one another to provide certain benefits. Love, support, financial help, respect, companionship, and honesty are only a few of the benefits that should be expected from your mate. But what about dating? As a 37 year old single mother, I've had my fair share (and possibly someone else's share) of dating. I've had amazing dates and dates that I was sure would end in me being chopped up and served at his next dysfunctional family dinner. True, I love to eat and whoever takes me out will spend a decent amount of money on my dinner, but I've often be left with the question: what do I owe him? I didn't forget you, Gentlemen. What do you owe us? If you take a woman to a nice dinner, you enjoy her company, and it ends up in a fun night of adult entertainment, what do you owe her? Do you owe her a light bill? How about a father figure for little Tommy? Now it's your turn to listen: Nope...not at all...please don't do it. You owe nothing. The fact is that she agreed, as well as you did, to be an adult and involve herself with your manly ways. Stop feeling as if you are now obligated to be her main squeeze! 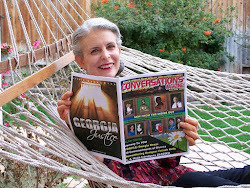 So much has happened since my last Letter From the Editor for Conversations Magazine. First, I released my first book, WORDS I CHOOSE TO LIVE BY (published by Bonita & Hodge Publishing) to an enthusiastic response. 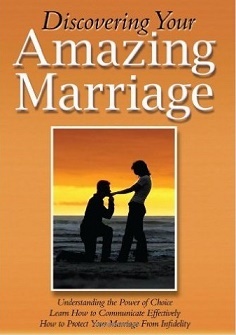 It's designed to give you daily affirmations to focus on as you are going throughout your life. In just a couple of months it has gotten praise from literally around the globe including from celebrities like media personality/author Leeza Gibbons and living legend Dionne Warwick. My reach on the airwaves has also grown. We are on the across the world online and on select radio stations across the country, including weeknights in my home state of Mississippi on WYAD 94.1 FM in Yazoo City, Mississippi. All of these blessings are humbling for me as I try to walk daily in my purpose, but I want you to know that they only happened because I had the faith to believe I could do it. So many times we talk ourselves out of the blessings that are meant for us, and this keeps us looking backwards instead of ahead. I'm here to remind you that looking back is not the answer. In fact, the only way you are sure to not achieve your personal greatness is by telling yourself that you can't. 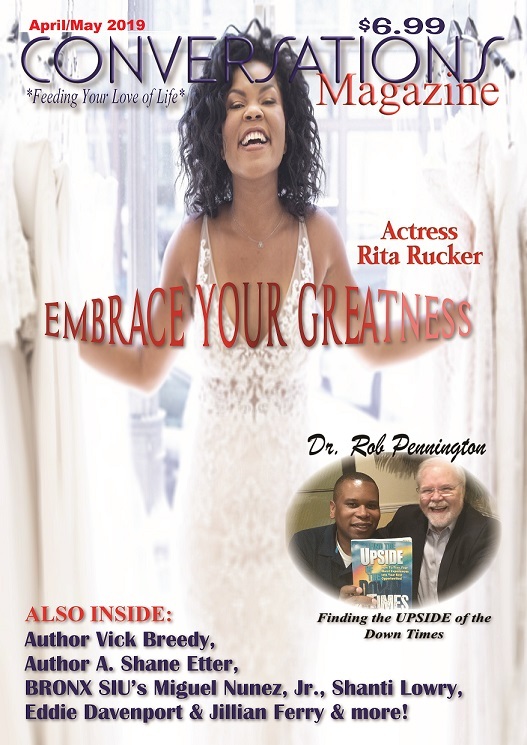 In this issue of Conversations Magazine you will meet individuals that are truly acting on faith in their lives and reaping the rewards. You will enjoy profiles with actors and recording artists that could have chosen to be defined by their past or what people told them. Instead, they believed they could do more in their lives and took the steps needed to do just that. I hope they will inspire you to do the same in your life, and I would like for you to share with me how you are doing the work to see your dreams come true. 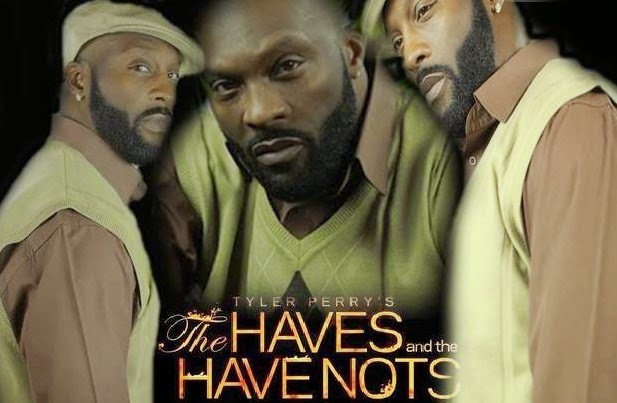 Actor Jerome Ro Brooks has been walking in his purpose for quite some time, but when he became known for the character Michael in Tyler Perry's hit show THE HAVES AND THE HAVE NOTS everything seemed to change----but did it? Maybe for many of us Jerome had struck gold, but in his eyes he saw what was going on in his career as a fulfillment of the prayer he had prayed. "I'm a God fearing man," he told me. "What I always told myself when I prayed was that whenever I make it keep me like I am." And that is exactly what he works to do each and every day. "I want to stay the same guy that other people already love and still bring my light to what is a dark arena." Even between seasons Jerome's light has done just that, bringing attention to causes and events that matter to him. You can see him online raising awareness and funds for various charities and using the platform he has for good. That is what he believes matters the most. "I still want to treat you as a human," he explained. "It took a while for people to see me as a talent, but I didn't want to take advantage of the way they saw me. People don't expect you to be humble while you are in this business. Staying true to myself hasn't been hard, because I have always asked for it." After people were introduced to Michael at the beginning of THE HAVES AND THE HAVE NOTS Season Two the response towards Jerome was instant. "I am so blessed and humbled by the love and the opportunity to work with Tyler Perry," He told me. "He's a genius. I'm blown away everyday. they (the fans) treat us like that (character) is who we really are. Michael gets so much love on the show. The support has been unbelievable." Jerome's character has been dealing with three very distinctive areas: 1) being the grieving grandfather after his granddaughter was killed, 2)playing a character that has a child who has a drug problem, and 3) his feelings for Hannah. Will Jerome and Hannah end up together? We will just have to keep watching THE HAVES AND THE HAVE NOTS to see. 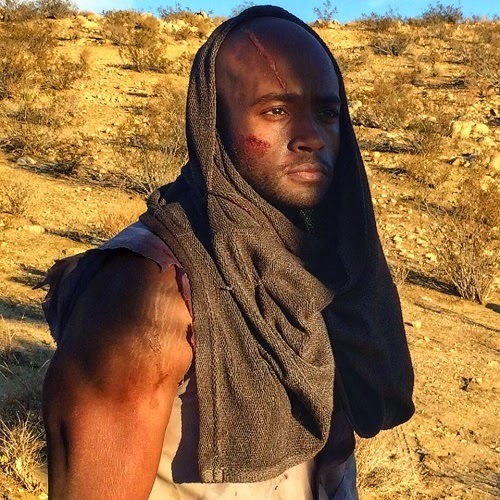 Stay connected with Jerome on Twitter at www.twitter.com/jeromerobrooks and make sure to like his Facebook page as well. He is also the author of the book How To Go From Extra To ACTOR. The main source for everything he is up to can be found on his website at www.robrooks.com. I was talking to someone at work the other day right in the middle of my sentence she started talking. That was bad, but what was even worse she was talking to someone else altogether. I stopped and went back to my office. It made me feel that what I was saying was unimportant---and neither was I.
I don't think she meant it like that, but it still leaves the same feeling. There was many times as a child I would have liked for someone to really listen to me. That reminds me of my granddaughter saying I am the only one that listened to her. She is a little chatter box but she deserves to be heard. Have you ever thought about how you listen? Do your ears hear the words and your mind begins to think? Or do you hear the words and your heart begins to break? Do you take time to listen to children? Or do you think they don't even have anything worth saying? How do you hear the words that are spoken with a whisper? At times it is hard for children to really know what words to use. And when they finally are able to speak, do you listen to those stammered words? Or must it all be right and proper for you to really hear? They don't even know words that fit how bad they feel inside. So stutter, cry, even run away is what they do instead. They are very used to people not caring how they feel or what they say. That one more time is no big deal; they kind of expect it deep inside. They will stop talking if someone doesn't start to listen carefully. So please consider how you listen the next time a child comes to you. Listen with your heart and help them to know that someone loves from deep inside. That would be the greatest thing you could give anyone. It costs something to listen with you heart and not just your ears. It could cost you sadness, tears, and nights with a little less sleep. But just think what it will mean to a hurting person to have someone really care. The next time you start to listen with only your ears Stop and think: How would you want someone to listen to you? If your answer is with their heart then model this greatness to all those coming in your path. I've said it before but it's worth repeating: Where you are doesn't have to define or limit where you can go. We all have been given amazing gifts. It's just up to us to use them and allow them to take us as far as they can. So many times we allow where we are born or currently live to be the end---when it really is just the beginning. Just ask rapper (and Mississippi native) Hollywood Luck. He may live in Mississippi, but his music and his presence if being felt across the country and beyond. Recently he released his new mixtape called MSRepresentIt, and I asked him what it's been like to see the response. "It's nice to see that people like the music," he told me. "It's been a long journey, but it's nice to see it is appreciated." The new project begins by sharing Luck's own experience with Hip Hop and even addresses some of the concerns he has about how music is being heard today. He told me that his career in Hip Hop began "by accident." His initial passion was basketball, but when things didn't work out with that he started making beats and later fell into rap. Today he is an artist that is known for speaking his mind and carrying himself with a confident that lets you know he is comfortable in his own skin. "The confidence took some time," he told me, but says it is definitely a project of the journey he has been on as an artist. The new project MSRepresentIt showcases some of the club songs that fans of the artist have gotten to know but also shares some more thought-provoking messages about life and the industry he is a part of. "I've always been able to create that balance," Luck says. "I can give you different stories in my music." He says he believes this shows he is more than just a rapper. He's a human being. "Some people treat artists like they aren't human. I just want to show I am a regular person." One of the songs that is most known by the artist is the suggestive single POLE IN MY PANTS. I asked Luck if he was surprised that this one single has become such a staple for his fans. "I'm very surprised," he says. "It's been almost four years and they still play it at the club and people ask for it when I'm booked for a performance." With that song's popularity I had to ask if there was a fear that it would be the only way people saw him. " I never had that fear," he admitted, "but it became a reality." He then added: "A lot of times people just expect those kind of songs from me, but it's not the only type of music I make. It's just a part of me. I guess the way people see you the first time and like it can make them stick you in a box and expect to see you like that all the time." MSRepresentIt shows that he is so much more than a man who likes to party, and that has been what Luck has been able to share with his fans both in person and through social media. When talking about the Internet he says it "definitely helps when I see my music reaching other markets. That lets me know that what I'm doing not only works in my area but around the whole world." Though he is still working to get more radio play this doesn't deter Luck from sharing his music every chance he gets. His work ethic is one that other artists are taking notice of and emulating, something that makes him feel good. "That definitely encourages me to keep going," he says. "For me it's more than just about being seen. It's about being true to who you are. I do this not just for myself but for a lot of people." 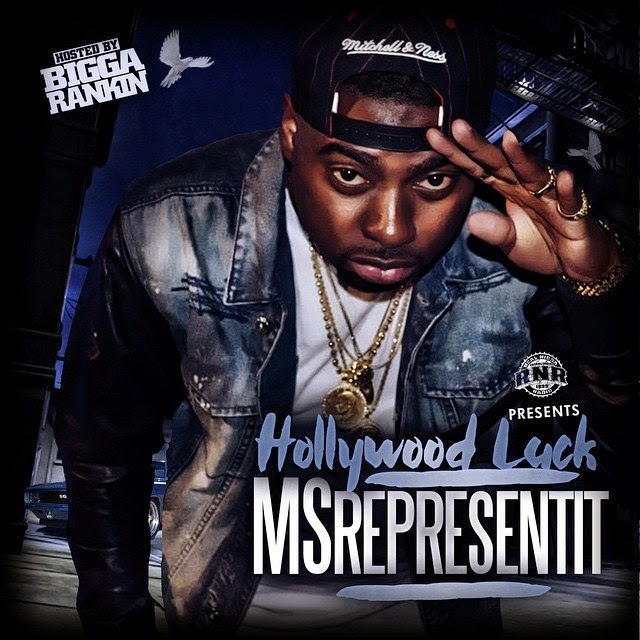 Hollywood Luck believes that MSRepresentIt definitely shows his growth and that fans will "get the complete package" of who he is. Stay connected with Luck on Twitter, Instagram at Hollywood_Luck and at 1stupluck.bandcamp.com. For over a decade actress Charlene Amoia has been garnering attention and fans for her roles in a number of memorable projects like The Young and the Restless, Days of Our Lives, the hit show How I Met Your Mother and dramas like Bones. Along the way she has not just honed her craft but allowed us to see what it takes to be successful in such a competitive business. She shares a bit of her journey in our "10 Questions" series. 1. Charlene, first of all congratulations to you on all of your successes. What has it been like to see how your hard work has paid off? Awe, well thank you for saying that. I feel lucky to truly have found something that I love so the work doesn't feel so much like work even with all the difficulties and challenges a pursuit in the arts brings with it. Even during the times when the disappointments seem to outweigh the positives, there is never a day when I think I would have chosen another path. And when things are going really well, I just keep counting my blessings and try to hold on the those feelings for as long as possible. 2. Do you think the key to your success has really been not giving up on yourself along the way? I think that actually has a lot to do with it! 3. Charlene, what was it about acting that originally spoke to you? I've always been curious about people. Anyone who knows me for even a short time, will say that I'm always asking a lot of questions. With acting, I get to continually investigate why someone makes certain choices and behaves in certain ways. That is very interesting to me. I guess I'm interested in human psychology and then once I'm able to connect the dots and embody the character, I really enjoy telling someones' story. It feels good to me. It's fun, and cathartic in many ways. 4. Since your journey began you have had the opportunity to be on some amazing television programs. Do you still have those "pinch me" moments on set? Every once in a while. I did have this happen to me recently. I was a huge fan of a particular show and then suddenly and randomly I was working alongside some of the actors I just adored watching. I remember thinking to myself, "How exactly did this happen?" I didn't even have to audition for the project I ended up working with them on. Confirms my belief of the inner connectivity of things and setting out intentions. 5. Fear is one of those things that stops so many from going forward in pursuing their dreams. What has kept you from allowing fear to paralyze you along the way? Ha. Good question. I guess I just feel like I don't have anything to lose. I was an awkward kid and came from humble beginnings so I don't feel like anything is going to embarrass me or make me feel something I haven't already felt before. In fact, when situations bring up discomfort, I make a true effort to sit in it and allow myself to grow through it. 6. On the other side of fear, Charlene, is passion. What is it that keeps you inspired and motivated as you walk this journey in your career? Acting makes me feel alive. I think about the many interviews I've watched with Joseph Campbell and his message to "follow your bliss." Seeing other performances inspire me. Good and bad. Art is illusive and the courage it takes one to risk everything and be vulnerable is inspiring. Nature inspires me. And love too. Love from an animal, a friend, family member or lover. I think watching anyone put their heart in something and letting go is beautiful. 7. One of the things that has definitely changed is the way that social media has become such a big part of our lives, especially for those in the public eye. What has it been like for you to have this online cheering squad connected to you? Hmm. I'm on the fence with social media. In some ways, it's nice to be able to connect with or have someone reach out to me. Although, I don't think I've fully embraced it yet. I am flattered by the fans who do keep up with my work on a regular basis though. It's very sweet. 8. We hear so much about when it comes to Hollywood, is the losing of oneself. What keeps you grounded as an artist? Well I don't party much so I think that helps and I have made some pretty solid friendships along the way with people I think are just really great cats. Also, I spend a fair amount of time meditating and chilling on a beach or a mountain during my downtime. 9. Charlene, I know that 2014 has been a busy year for you. What should our readers be looking forward to from you next? I recently shot guest star episodes on Bones and NCIS New Orleans and I have 2 films that will be release soon as well. One is car-racing film called Adrenaline with John Schneider and more recently a horror film called Nefas: The Wicked. Both will be coming out soon. 10. This conversation with you is part of our series called "Acting on Faith." Using your own career as an example, what advice would you give to others about the importance of following their hearts when it comes to going after their dreams? I think we all have a little Budda inside of us that is all-knowing and ready to guide us when we get still enough to listen. I've had people tell me I couldn't do things my whole life but inside I always knew I could. My advice would be to find away to get away from the outside noises and influences and really pay attention to what that little voice inside of you is saying. You can stay connected with Charlene at @charleneamoia on Twitter and on Facebook at www.facebook.com/charleneamoia. Her website is www.charleneamoia.net. 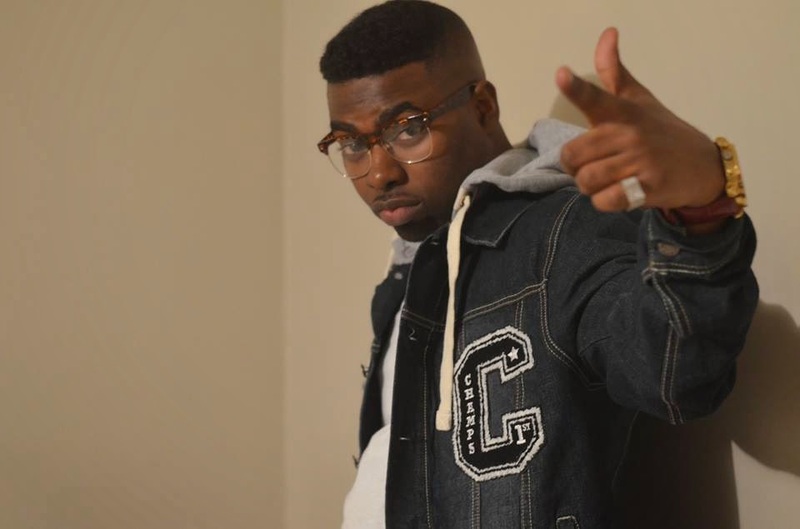 Not everyone has Tyra Banks in our corner telling Tyler Perry that we are someone that he should check out, but that has been the experience of model and actor Denzel Wells. 2014 was a busy year for Wells: appearing on the #1 show on the Oprah Winfrey Network IF LOVING YOU IS WRONG as well as the recent cycle of America's Next Top Model. Along the way, however, he lived moments that will always be with him and have garnered him much-deserved attention for his skills in front of the camera. Talking initially about the success of IF LOVING YOU IS WRONG, Wells told me "It's a blessing being part of a tremendous project. It's very surreal for me." As the show took over cable on Tuesday nights in 2014 so did the attention about Wells. "I did not think it would be so thrilling," he confessed. "The show has such a great following. It's been amazing to watch it grow." What a difference a couple of years make. He started modeling in January 2013 when practically no one knew who he was and then in BANG: on two hit shows and even being recognized by Essence Magazine as Eye Candy for the ladies on television. Wells, however, is trying to take it all in stride. "I'm still the same guy I've always been," he told me, "but to see people react the way they have is like WOW!" One of the biggest driving forces in IF LOVING YOU IS WRONG's success and Wells' notoriety is social media. "It's really crazy how much of a presence that social media has on TV shows," he says. "You can watch the show, have a question and then ask it of myself and the cast. It's a great feeling to interact with the fans in real time." Though he appreciate all of the support he is getting, Wells made an important point to me about what drives him--and it's not fame. "Your motivation has to come from within," he says. "You can't rely on the fans, family or friends. What it boils down to is your own motivation and your own want to succeed." "You literally have to be your own worst critic," he explains "If you don't someone else will. If you don't have a tough skin it's going to be a tough journey for you." Stay connected with Denzel Wells on Twitter at www.twitter.com/iam_denzelwells. 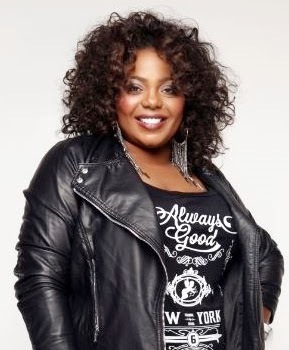 Anyone who has been following the career of comedian and actress Cocoa Brown would agree that she has been on one wild ride. She's gone from being a part of the powerful film QUIET to laughing it up with actress Nia Long and others in the Tyler Perry produced movie Single Mom's Club to being one of our favorite characters on Perry's hit show on OWN's FOR BETTER OR WORSE. With every role she is walking in her gift and sharing a piece of herself along the way. "It's been one of those situations that has proven to me when it's your time it's your time," she told me in what was our second conversation together. "The biggest thing you can do in this business or anything in life is be ready when it happens," and that is exactly what she has been: ready. One of the keys to Cocoa's success has been not to limit herself along the way. She works hard to stay sharp so that when opportunities arise she is at her best. 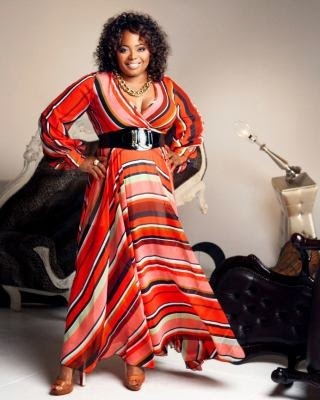 As the character Jennifer on FOR BETTER OR WORSE she has given us some great laughs, but she also has been part of the show's most powerful themes, namely how it dealt with the subject of HIV and AIDS. "It is a conversation that so many of us have with ourselves," she says "I was really grateful that he (Tyler Perry) had the kind of faith in me to bring that storyline out." Cocoa went on to tell me that at the time she taped those scenes she was 8 months pregnant. "It was so powerful, because so many people were touched by that episode. Everywhere I went people are still talking about when Jennifer met Harold." Outside of the fame, Cocoa says what you see is what you get. "People tell me all the time how humble I am, and it's not something that I do consciously. It's just who I am. It's a humbling experience that I get to live my dream everyday." She says that too often we put the brass ring on the bigger projects and the ones that bring lots of money recognition. "I'm just fortunate that I get to walk in my gift in some capacity. I love making people laugh and forget about their problems," but she says acting allows her to "step outside" of herself and tell someone else's story through another voice." You couldn't tell it by watching her career, but Cocoa says she didn't plan on this path. She says 17 years ago a friend asked her to go to a comedy club and as she puts it: "My destiny fell in my lap." What a great reminder for all of us. When our calling is put before us it's up to us whether we answer and walk in it. "I was yearning for something different in my life," she told me. "Sometimes you have to sit back, let go and let God." Cocoa credits her fans for sticking by her and rooting for her along the way. "I wouldn't have the power I have in this present moment if it wasn't for my fans," she says. "I owe them so much." She hopes that individuals will look at what she has done and realize that they can get through whatever situation they are going through, as long as they don't give up. For updates about Cocoa visit her webiste www.cocoabrown4life.com or follow her on Twitter at www.twitter.com/cocoabrown22. For many people their purpose is something they run from, but for actor Eltony Williams he has learned that in order to experience the highs you must be willing to take the entire ride. For over a decade he has been seen bringing characters to life. 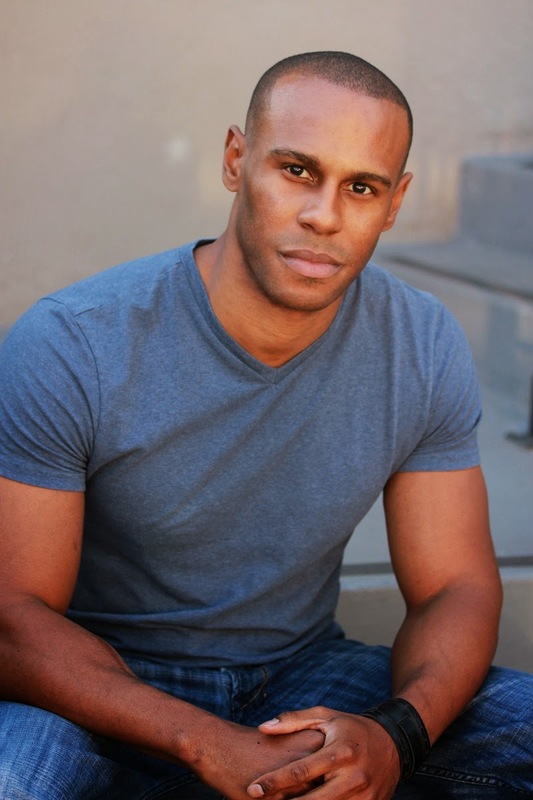 co-starring on some amazing shows, but in 2014 he made a name for himself playing Randal on the hit show Tyler Perry's IF LOVING YOU IS WRONG on the Oprah Winfrey Network, opening (and closing) the season with a bang. Talking about the experience, Eltony told me that "Every time you step on set it's like the first day of school," but with his IF LOVING YOU IS WRONG family he says "it becomes a family. The process was very natural and fun." What is it about acting that spoke to Eltony? "There's something about being able to tell a story and live the life of a character," he told me. "It's an incredible experience." He says when you are in the zone it's easy enough to bring the best of yourself to every role. Eltony remembers what it was like to watch the first episode with the cast, after filming an episode a day for Season One. "To see it come to life on the screen for the first time was a really surreal experience," he says. He went on to share that landing the part of Randal on the show came at just the right time in his life and career. "There are so many times when you want to stop," he explains. A show like this proves this for the actor: "You put in the work for years and then He (God) says it's time to pay off. " Outside of seeing the joy from his fans is the knowledge that he is encouraging others along the way. His advice to them? "The dreams you have you can follow them, and they can come true." Stay connected with Eltony on Twitter at www.twitter.com/eltonywilliams. It has been amazing watching the way that actor Sean Hampton has not only continued to diversify his resume but brought on new fans through each step of his career. For him, this career was pretty much decided at an early age. "The inspiration for me to become an actor came at the age of 10," Sean told me. "I was watching Total Recall starring Arnold Schwarzenegger. Seeing that movie told me that's for me. I want to do that." It is a decision that didn't exactly align with what others may have expected for him. Coming from a family of professionals, they were probably expecting him to follow the same route, so he tried. "I said I would be a lawyer," Sean says, however, he got to college and realized that wasn't what he wanted to do it. "I told my father that I wanted to play a lawyer, but I don't really want to be one." Since then he has appeared in television shows such as General Hospital, Young and the Restless, 90210 and movies like Transformers and The Arcadian. In spite of his success and acting credits, I asked Sean if there has ever been a time that he questioned whether this was the right path for him. "I've seen a lot of people go through those doubts," he says. "I can't imagine doing anything else. This is home. There have been times that I have felt like I had painted myself into a corner, but there is no second-guessing. I have to be here and do this. You can't get caught up in thinking short term." What has it been like for Sean to be recognized for what he does? "It is one of the greatest feelings in the world to have that affirmation. This is the work I am supposed to do. When you know you're supposed to be somewhere then that is where you want to be." His new project is called RACE WAR and made it worldwide debut on Monday, May 18th. Q: Do you think your faith has been a big part of the way you have thought of your career? A: If it wasn't for God I wouldn't be here. Just acting on my own accord I would have screwed this up a long time ago. It's because of my faith that I have been able to stay in the right direction. Just having my faith has taught me to work with everyone and not to judge. It's been my biggest asset. Q: Sean, you are doing something that is not always seen in any profession, that is sharing what you have learned about the business with others. Why did you decide this is something you wanted to do? A: It's mainly because there wasn't much of that for me when I was coming up. People close off in this business. I want to be the information center that I didn't have. I know how much that is needed and appreciated. Sean's newest project is one that he is not only acting in but directing as well with his good friend and producer Matt Getic. It's called The S & M Experience and debuted online April 26th of this year. Q: Talk to us about how The S & M Experience came about? A: To me the Internet is the future for entertainment. I love the entire creative process, not just being an actor. The S & M Experience was something that Matt and I decided to do because of our mutual comedic backgrounds. We started writing out some of the ideas we had, and it just developed from there. I think that laughter is really important. You have to laugh about things and not take life so seriously if you want to really be able to enjoy it. This is also a way to get out some of the ideas that we have. It gives us the opportunity to go directly to the consumer. You can watch The S & M Experience online at either www.youtube.com/sandmnetwork or www.vimeo.com/sandmnetwork. Q: Thanks again for taking out the time to talk with us, Sean, and congratulations again on the S & M Experience. My last question for you is this: what does it mean to live your life on purpose? A: It's one of those times that you just know you're doing the right thing. To me fear is normally an indicator that you're going in the right direction. If you know you have a passion about something and are stepping out on your own, I think the fear should be embraced and it will motivate you. You have to step out in faith. Go forward and do it. Watch RACE WAR at www.racewarfilm.com. Stay abreast of everything going on with Sean Hampton online by following his Facebook page at www.facebook.com/seanhamptonforever or his Twitter page at www.twitter.com/elseanhampton. 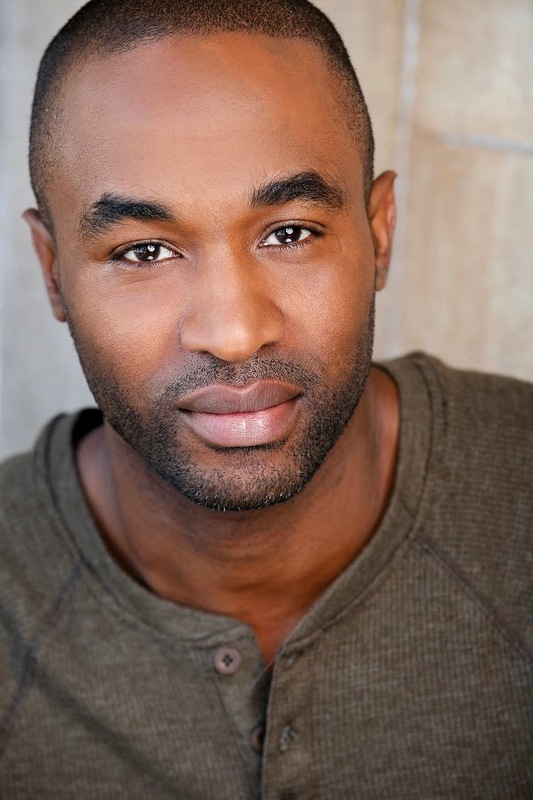 You've seen him in diverse roles on shows like Hell Date, Southland, The Hustle and NCIS: Los Angeles, but it is as the character Quan on the hit show IF LOVING YOU IS WRONG that actor and comedian Dawan Owens has really gotten his opportunity to shine. The funny thing about his journey though is that it may not have happened if he wasn't willing to ask the tough questions of himself and do the work. 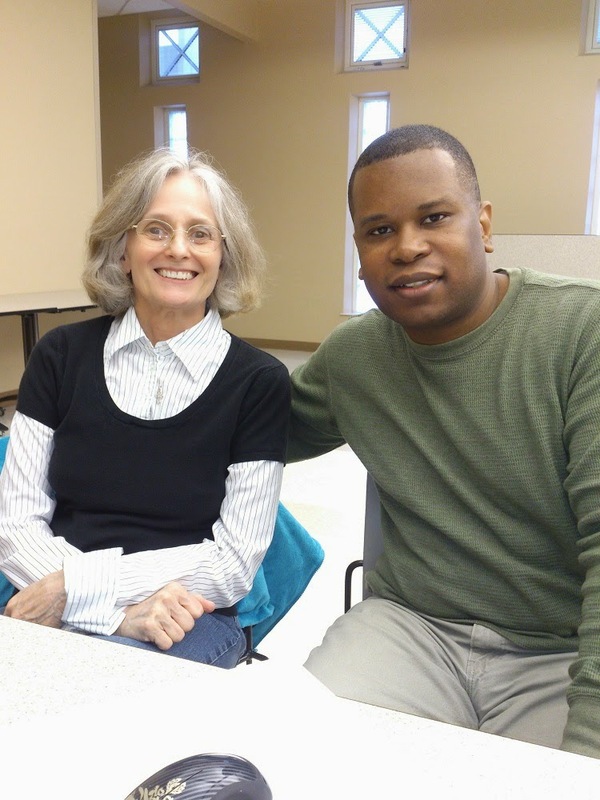 "It's amazing to do what you love," Dawan told me during our conversation together. "I spent most of my life trying to figure out what I wanted to do." After some events and conversations took place it was undeniable what he should be doing. "This is the path that God has put me on." You wouldn't know it by looking at him today, but Dawan hasn't always exuded the confidence that comes out on camera. "Growing up I wasn't the coolest of kids," he explained. But it was during that time that he realized one of his gifts. "Comedy is what got me out of trouble." Even when things were rough at home, Dawan says the best thing to do was make jokes. "What we did with our time was laugh." Now he is literally laughing his way toward his destiny. Coming to Hollywood he was once again faced with the question that he had asked himself: "Who are you?" They saw him and realized that he wasn't a one-note. He could play "urban", be funny and even do drama. All of those abilities had to be honed. What helped Dawan not to get lost in the bubble? "What has been important is not to try to be somebody else," he explained. "We spend a lot of time looking at others and trying to emulate their success. What we should be emulating is the drive and the discipline they have. I can only be Dawan, and the great thing about that is there is no other Dawan in the world." His advice to others trying to break into the industry or pursue their goals in another field? "Don't waste time trying to be anybody else. You are uniquely you and that is the best thing in the world. There is no one else like you." 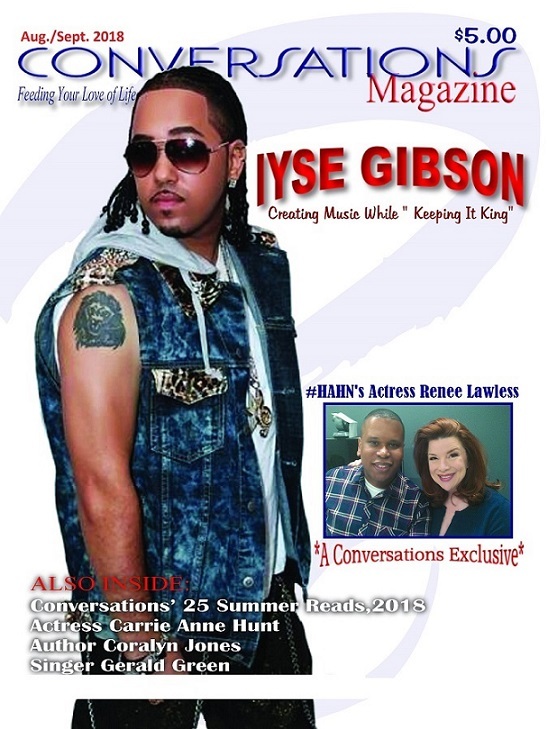 He was able to bring that attitude into the making of the character Quan in Tyler Perry's IF LOVING YOU IS WRONG. "The thing about this cast is it's a labor of love," Dawan says. He also revealed that several of the cast members---including himself---experienced some heartbreaking losses during filming. "We all rallied around each other." With a rigorous schedule of shooting an episode a day, Dawan says: "It bonded us as a family. Some of that has to come through on camera." Another thing that he refers back to was how Tyler Perry gathered everyone who worked on the project together and told them "I have built this place for you to come and live your dreams." That resonated with Dawan. "It feels good to know that he wanted to give people he (Tyler) thinks are great an opportunity to succeed." Now Dawan is able to take that motivation and use it in every aspect of his life. What a great example for all of us. Stay connected with Dawan on social media at www.twitter.com/dawanowens and www.facebook.com/dawanowens. When you know you are doing the work that was intended for you, there is no better feeling in the world than to have that validated by success. Actor Octavio Pizano came upon my radar in 2014 on Tyler Perry's IF LOVING YOU IS WRONG, and he shows from the first time we were introduced to him that he had skills. I reached out to him on Twitter about an interview, and he graciously accepted my invitation to share some of the highlights of the first season of the Oprah Winfrey Network's top-rated show. "It's been impressive to see the response. We spent over 2 months shooting in Atlanta, and we were so immersed in it we weren't thinking about how people would respond to it. It's been quite an adventure." "I wasn't on twitter before the show, but we were encouraged to get involved in the live tweeting experience during each new episode. It's crazy to see so many people tweeting your name, but it's also fun watching it with the fans. When you're on set you're only involved in your story. Now I can watch all the other stories unfold. To share that with the fans is awesome." "I fell into it and got addicted. I couldn't let go of the feeling it gave me. I was very blessed by my father to do whatever I love. When I first brought up about acting he did raise the usual things about the competitive industry and not a lot of people make it. Once he saw the passion I had for it he told me to give it my all." "You really do bring your all to make this character live and breathe. Playing Julius is so different for me, so I did a lot of research. It's a very interesting experience.once you get into the skin of the character and completely give in to the role and give in to the story. Glad that people are liking him." "Even when you get a break it's what you do with it that matters. Success requires a risk-taking ability. A lot of people are going to try to pass on their fears and doubts to you, but as long as you have a vision and you're focused people will see it. It really is an investment. If you're not passionate about about what you're doing, it's going to consume you. "You get to motivate other people to go for their dreams. Nothing more rewarding than inspiring others to follow their path. Giving your best is something that sets you apart." Stay connected with Octavio on social media at www.twitter.com/OctavioPizano and www.facebook.com/octaviopizanoofficial. 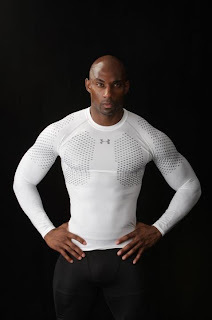 Branden Nicholson of B. Nick Fitness Presents "31 Days of Inspiration"
Conversations Magazine is excited to share daily words of encouragement from celebrity model/fitness trainer Branden Nicholson of B. Nick Fitness in California. The purpose? To encourage the reader to be the best of themselves each and every day. Take out time to visit our website each day to find a daily dose of motivation and visit Branden online at www.facebook.com/bnickfitness or www.twitter.com/officialbnick.